PaddyPower is Irelands largest Bookmaker. With shops in Ireland and the UK, you can be sure your money is safe. Over the years Paddypower has built up a reputation for being a punter friendly bookie with crazy special bets and money back specials. PaddyPower Online roulette is an experience. In an ordinary casino, there is one type of roulette game. You usually get a single zero roulette game and thats it. Certainly in the betting shops, you will only get 1 type of roulette. 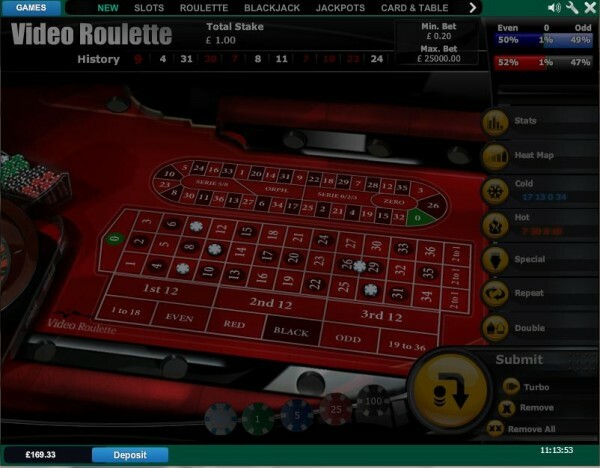 At PaddyPower they have a choice of 15 roulette games just in the casino area. 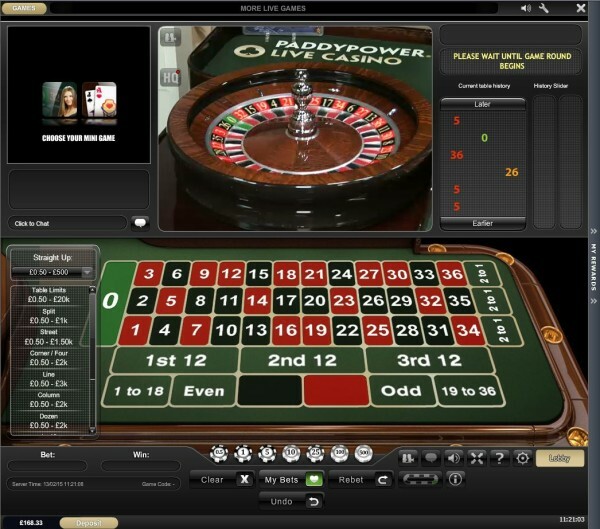 There more roulette tables in different parts of the site, including the live roulette and games. Paddypower have 15 roulette games from Playtech. They are mostly duplicates of one another with slightly better graphics and bets. The one that stands out though is the Video Roulette. All the other roulette games, have a minimum bet of 50p, eg 50p straight up, 50p on a dozen, 50p on black etc. 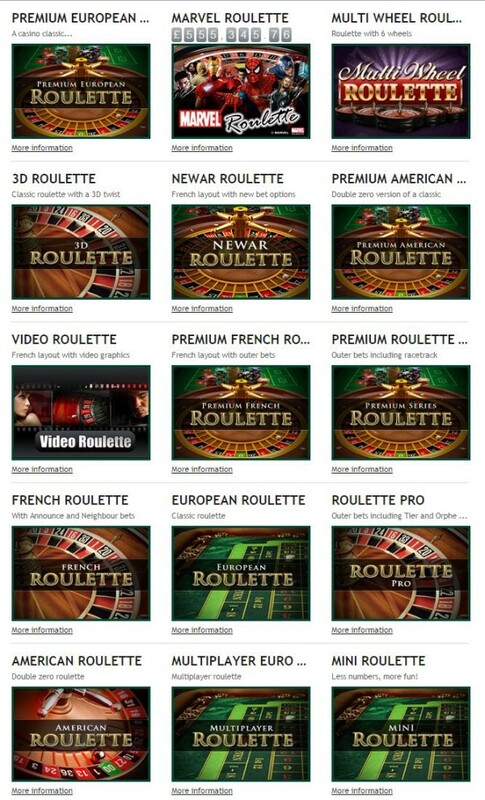 However, the Video Roulette allows 20p bets. This is exactly the same as the FOBTs in the betting shop. The other stand out feature of video roulette is the La Partage (similar to En Prison) rule which gives half money back on green for even money bets. For example, you put £10 on red and 0 comes out, you get £5 back. This only works on even money bets though. This reduces the house edge on the game to 1.35% which is low for a casino. Paddypower also have a live casino if you think their random number generators might be rigged or fixed in some way. Some people just prefer the slower pace of the real roulette table too. Bets are from 50p a spin on their live roulette wheels. Paddypower are great with the loyalty bonuses and give regular rewards to players. Examples, include, cashback, holidays, free spins and even free money. Paddy knows how to look after his players. Live casino has its own promotions which include reload bonuses, holidays and cashback. At PaddyPower they offer a sign up bonus. CLICK Here to sign up.